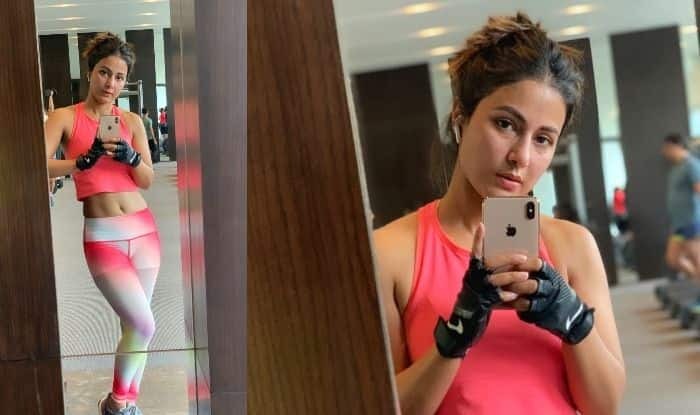 Hina Khan hits the gym to burn calories after returning from her Maldives vacation. Hina Khan, one of the most loved and famous television star, keeps treating her fans with stunning pictures and videos of herself on Instagram. From gym photos to gorgeous red carpet look pictures, Hina floods her Instagram with interesting posts. After returning from a family vacation to the Maldives, the actor hit the gym to burn some calories and then to work. Hina took to her Instagram stories to share videos of herself from the gym. With dripping sweat and a tired face, Hina still managed to look cute. 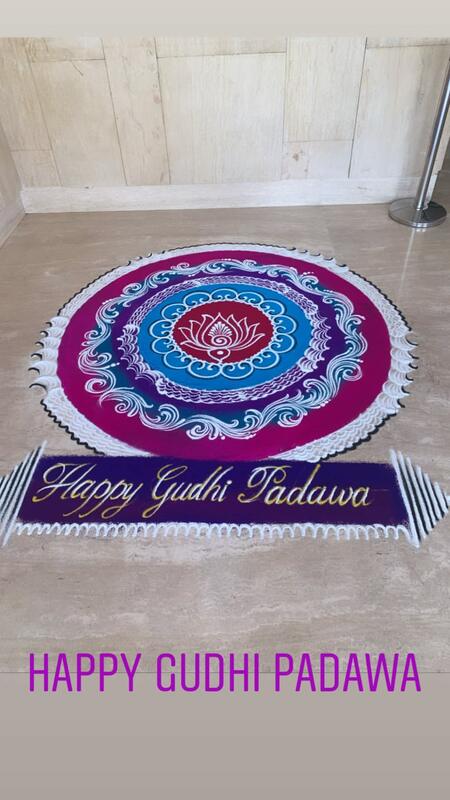 She captioned it, “Mehnat ka paseena.” She then went on to share a picture of a rangoli wishing her fans a Happy Gudhi Padwa. Her next story was of Hina in Komolika avatar. With a fancy draped blue saree dress, shimmery shoes, thick bangle, long earrings, red lips, wavy hair, Hina struck a beautiful pose and looked stunning as always. A few days ago, the Kasautii Zindagii Kay star was in the Maldives vacationing with her family. Hina always manages to take out time from her hectic schedule to spend with her family. She even took to her Instagram to share pictures from the beach holiday. She and her family even overcame the fear of scuba diving by literally going underwaters. Sharing a picture doing the same, she captioned it, “We are all set in our wetsuits to kill the fear of depths and dive into happiness.. My mother dived today, yes she did, I am so so proud of you #MommyMermaid..we did it”. On the professional front, Hina is all set to make her Bollywood debut with Vikram Bhatt’s film where she will be seen playing the lead character. Apart from Hina, the film will also star veteran actor Frida Jalal. Last year, Hina shared a picture with Jalal from the sets of the film and captioned it, “She’s not just a veteran star but also a creative powerhouse and Bollywood’s encyclopaedia. Oh but her sassy, sweet attitude keeps us entertained on the sets. Such a lifetime worth of an experience and a complete privilege it is to work with dear Farida Ji.”.